Why book an expensive studio when there's an empty pasta sauce factory around the corner? This must have been on the minds of The Low Anthem quartet. And so they put their recording equipment for their new album 'Smart Flesh' in an old factory hall somewhere in their home state Rhode Island. This resulted in a record with eleven country and folk songs that got an extra dimension from it. They experimented with mic placement which is clearly audible. The tracks sound warm and rich and the quiet songs are tiny and modest. The songs themselves aren't that special to be honest. They are solid country songs that don't really stick out because of extraordinary compositions or lyrics. However the multi-instrumentalists of The Low Anthem did go wild on all kinds of instruments and this leads to lush arrangements now and then. And so one of the best songs on the album, 'Boeing 737', is accompanied by exuberant horns and you can hear different percussion instruments, all kinds of stringed instruments and sometimes a singing saw. In the more straightforward and singer-songwriter tracks singer Ben Knox Miller sounds a lot like Bob Dylan. The band is compared to him a lot but this isn't always completely true. They sometimes fall back to the very basics. 'I'll Take Out Your Ashes' is only accompanied by banjo plucking and the sound of a radio program on the background including the old fashioned interference. What's striking like for example in 'Matter Of Time', is that every note played and sung has been placed and chosen carefully. It never sounds too much or rushed but are the songs breathing serenity. This makes the record crawl by like a simmering hot day in a dusty American town. Or it almost comes to a complete stop halfway in the instrumental 'Wire'. 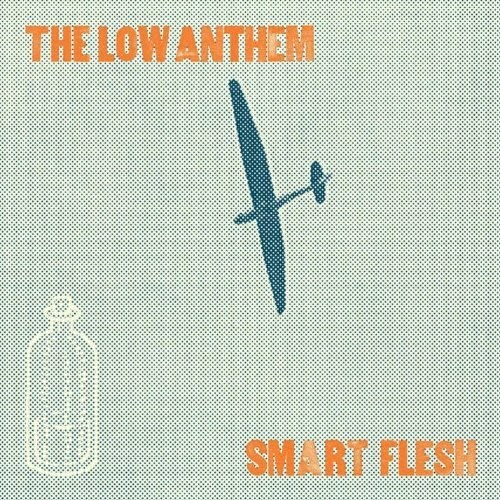 The fourth album of The Low Anthem maybe won't go down as their master piece or a classic. It's a lot more accessible than its predecessor 'Oh My God, Charlie Darwin' and therefore less exciting to some. They do however deliver a solid record that excels in production, sound and the use of exotic instruments. There's plenty to enjoy by all means for people that fancy this genre. This review has been published on ROAR E-Zine in Dutch over here.